This external brine blender makes it easier to get the perfect water/salt-mixture for your purpose. The blender includes a pump that transfers the prepared liquid into the tank of your brine spraying device with a speed of 390 l/min. 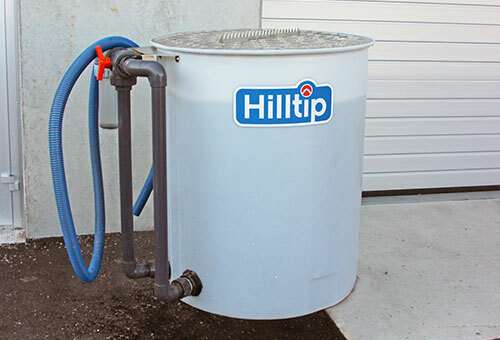 The blending tank and lid is made of durable polyethylene which gives you a rust and corrosion free lightweight product. 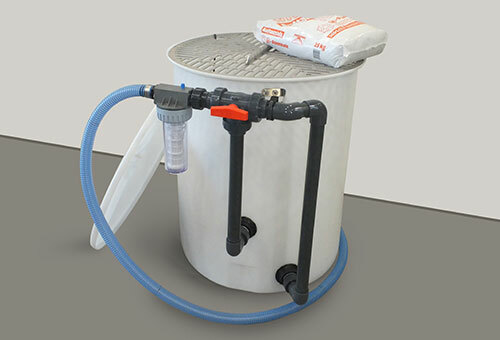 The BrineMixx™ is available in three different sizes, 500 l, 1400 l and 3000 l.
When using a liquid system you save money and reduces the impact on the environment, while achieving the same de-icing results as before. By applying a liquid solution before the snow or rain falls, it will stay in the pores and cracks of the road and then restrict the bonding between the road surface and the ice. 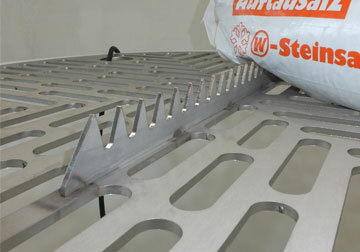 This will make the snow/ice come off easier when plowing. When a liquid solution is applied to an already icy/snowy road it will immediately start breaking up the ice from the top down. By mixing the right solution for your current winter temperatures, you wont be wasting salt or money. * Calculations based on the following application rates: Dry salt 30g/m2, Pre-Wet 17g/m2, Brine 35ml/m2. With a Pre-Wet system the application rate is significantly lower, as the pre-wetted salt bonds to the ground and immediately start breaking up the ice.